There are nearly 40 partner companies. The most cutting edge on the Galician audiovisual scene. With a common denominator: Productive and efficient future growth. Our main strengths: content, services, equipment, software, broadcasting and multimedia content for new platforms and graphic design. This shows that Galicia has everything it takes to be a benchmark of audiovisual production in any medium on the world stage. If you are a Galician company operating at any of the stages of audiovisual production and you want to join the Galician Audiovisual Cluster or need more information, send us an email to cluster@clag.es. And if you are also a new company, you can benefit from the advantages of our 'Entrepreneurial Share'! Contact us and we will tell you all about it. Address: Avda. del Puente nº80. 36318 Vigo. Pontevedra. 60ráfagas is an audiovisual studio specialized in advertising videos. They have also worked as cinematographers in documentaries, films and external advertising. Currently, he is focused on making what will be his first documentary feature film, produced and directed by them. At the same time they are in the process of preproduction of a fiction feature film. ABA FILMS is a production company located in Santiago de Compostela whose activity is based on audiovisual (tv, institutional, industrial) and cinematographic production; in production services (development, recording, editing and postproduction); communication (campaigns, webmaster services and community manager) and advertising (development, recording, editing and postproduction). 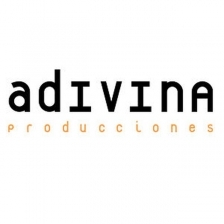 Adivina is a company formed by specialists in the technical, creative and audiovisual management areas. It started producing television in the 80s and today develops projects for technology-based content. In its facilities in A Coruña, it has assembly stations, 4K cameras, 360, stereoscopic VR and a set with chroma cyclorama. Among his fiction films include "El niño de barro", "Un Franco 14 pesetas", or "Inevitable"; all three with international distribution and numerous awards. Among the programs for television are "Galicia On", "Conexións" or "Galicia Visual". In the documentary area he has produced, among others, "Camino de Santiago, el origen" or "La mirada de Anna". Its innovation department is currently working on virtual reality content. Aerial filming services by RPAS (drones), including chambers of large volume. Services throughout Spain. 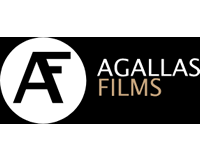 Agallas Films is an audiovisual production film and television. Audio postproduction for film, television and multimedia. Dubbing of films and TV programmes into Galician and Spanish. Soundracks for spots, documentaries, corporate videos, videogames. Editing, mixing and mastering of soundtracks for film, TV, advertisements, in surround and stereo formats. Sound effect design and recording. Subtitling (open caption and closed caption). Subtitling for hearing-impared persons and audiodescription. Audio consultancy services for film and television productions, from preproduction planning to postproduction and mastering. Consultancy and supervision on recording and sound processing systems, especially those for sound production and postproduction for film and television. Bambú Producciones is a young production company created in 2007 by Ramón Campos and Teresa Fernández-Valdés to develop and produce fiction projects for television that excel in terms of technical and artistic quality. Its main assets are the creative department and its list of regular collaborators. Both elements come together to combine experience and talent in a company determined to surprise and innovate in each project. This corporate philosophy has reported Bambú Producciones some of the successful productions with greater impact in the Spanish fiction during the last years. The tone and the genres of the series of this young production company vary ranging from historical (Hispania/Imperium) to family melodrama (Gran Reserva) and detective (Guante Blanco) or investigation thriller (Gran Hotel). This fact highlights the versatility of a company that does not hesitate to face every new project as a challenge to improve. The company always keeps in mind the objective of the creation of each production: to entertain a general audience without relinquishing the quality of the whole project. In 2012, Ramón Campos and Teresa Fernández-Valdés face a new challenge: the creation of a new fiction production company called BLOW, a new business commitment born with the vocation of producing audiovisual projects that are more risky from a content and visual perspective. Officially-recognised training centre with 14 years experience delivering official Media-related courses: Film, Audio, Direction, Production, Makeup, Photography, 3D Animation and Videogames, Art Photography, Advertising Graphics, Desktop Publishing and Art. As an Avid Academy Partner, it also offers specialist courses on video and audio editing and postproduction. The centre has more than 3.500 m2 of technical facilities, equiped with the latest technology that has received many awards worldwide. Thus, the School is the only AVID ACADEMY PARTNER in Galicia and the North of Spain. It is also a DISCREET HIGH PERFORMANCE CENTRE, INTERNATIONAL BUSINESS MASTER. It is a member of the Galician Audiovisual Academy, Galician Audiovisual Cluster (CLAG) and the Galician Association of Independent Producers (AGAPI). The Centre also has the ISO 9001 QUALITY CONTROL and ISO14001 ENVIRONMENTAL CERTIFICATIONS. Digital and analogue Radio studios. Radio editing studios and transcoders. Sound cabins for audiovisual productions (10). Analogue and digital music recording studios. TV sets with more than 30 pantogrpahs and studio lights. Fixed and mobile ANYCAST studios 12 editing rooms with AVID MEDIA COMPOSER. AVID MEDIA COMPOSER ADRENALINE and AVID COMPLETE STUDIO workstations. Computer graphics room, equipped with SILICON GRAPHICS workstations. SMOKE editing room (only training centre in Spain with this equipment, one of two centres in Europe with this technology). Multimedia library (with more than 6,000 DVDs and 4,000 books available to students). Our guiding principle is to “learn by doing”. This means that our students should have real-world experience as soon as possible, in addition to the practical exercises in their studies. Thus, students may have afternoon placements in companies from their first term. To see our ACTIVITIES during the school year please visit our website and http://www.eisv.net y click on actividades. CENTROÑA PRODUCIÓNS AUDIOVISUAIS is a production company of contents and formats for television. It has produced original TV formats for TVG such as “Laretando” or “Verbas Van”, educational programmes as “FP o teu futuro” and “Xa hai que foi”, music shows and documentaries. With nearly 2,000 episodes, “Cifras e Letras” quiz show is today the most broadcasted on the TV network. Although Centroña is small-sized, it has developed big projects. It has been developing and producing high quality TV contents, becoming a versatile and multidisciplinary production company. In Centroña we are constantly in motion either shooting a TV programme, either developing several projects or creating unique formats for the small screen. The professional potential of the company is represented by professionals with wide experience working in the Galician broadcasting industry, as well as emerging talents bringing in all our productions high levels of creativity and trendiness. [Cinfo] was born as a laboratory of ideas for digital television and new technologies, that turned it from its origins in the r & d and innovative solutions. Cinfo offers an advanced system that provides metadata to audiovisual products, both for television broadcast as for OTT and VOD. It also offers a software for the creation of social TV channels. Cinfo products to produce events multi-camera, customized promotional channels, video mosaics or audiovisual technologies in the cloud-based interfaces. It has also developed technologies for retransmission of sporting or musical events automatically. Congo Producciones is the most highly specialized Galician production company working in the field of graphic and audiovisual advertising content for the small and large screen, radio and the Internet, areas in which it has acquired a wealth of experience at both regional and national level since it was founded in February 2004. The company is currently immersed in the production of new fiction and non-fiction formats, thus continuing to honor its track record and commitment to being a creative workshop without losing sight of its original mission: to offer top-quality products with a global outlook. 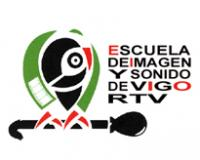 The Galician Radio and Television Corporation (CRTVG) began broadcasting in 1985. Its main objectives are: to standardize the use of the language and promote Galician culture through the different channels of communication, such as Televisión de Galicia (TVG) ), Radio Galega (RG) and digital media. CTV, a pioneering company in the audiovisual field in Galicia, specializes in the creation and production of high quality fiction and entertainment programs for prime time TV. CTV has the largest audience in Spain for original entertainment programs created by any company in the country, as demonstrated by the numerous awards received by its fiction productions in 2017 (6 Mestre Mateo Awards) and the IRIS Award for the `Best Regional TV Program’. A winning combination of over 15,000 m2 of floor space (including five sets of 1100, 1000, 800, 600 and 200 m2, respectively), cutting-edge technology and a highly qualified workforce has placed CTV at the forefront of the audiovisual industry in Spain not only as a producer but also as a service provider. The Galician School of Cinematographic Arts (EGACI) is a teaching institution dedicated to training film artists. It was created thanks to a collaboration agreement with the San Antonio de los Baños International Film School. It currently has its own three-year learining programme. In EGACI we are strong believers in the importance of practical training. That is why we have an industry-placement scheme and fortnightly Master Classes during the school year. Teachers that regularly share their experience in the EGACI include Assumpta Serna, Scott Cleverdon, Carlos Suárez, Sergio Franco, J.A. Pérez Millan, Carlos Navarro, Pilar Robla, Marino García, Alfonso Parra, Xavi Font or Jorge Coira, amongst others. Our company is always open to new projects and we actively look for opportunities to collaborate and co-produce at international level. More than 15 years of experience guarantee the quality and diversity of our productions. We make fiction series, miniseries and entertainment programs for regional or national TV, as well as feature films and animation series. We are also part of an R & D project, in collaboration with a hospital, developing VR applications for a robot arm to help patients recover from a stroke. Our modern technical infrastructure and state-of-the-art equipment enable us to offer all kinds of audiovisual services, set rental, audiovisual equipment, 3D and VR project development and programming in Python or C ++. More information at www.ficcion-producciones.com. Rental of lighting equipment, cranes and generators for film, tv and advertising. Sales of lighting equipment, Rosco Ibérica reseller. Is an independent company with 100% Spanish capital and an international outlook. It is based in Santiago de Compostela since 2000. Our activity is centered in the creation, production, postproduction, distribution and exhibition of audiovisual content for the entertainment industry.we cover the whole production process, both for live action and for CGI projects, as well as for projects that combine both techniques. In CGI projects our services range from character design and modelling to rendering and final image generaion. In all these years we have produced 8 animation feature films, which have won 5 Goya awards in this category. Our work in this field received international recognition in 2006, when we received the Cartoon Movie Award to the Best Production Strategy for Animation Feature Films Production. In 2006 we started a second area of activity: the production in Galicia of all types of documentary projects, feature films and television series. We have received several awards and the recognition of the Galician audiovisual sector with titles like “Hai que mollarse”, “Botarse ao monte”, “Lume e Fume”, “The Way” or “Historia dunha parroquia”. FRIDA FILMS was founded in 2008, since when it has specialized in arthouse films, producing feature-length films and documentaries. Its aim is to produce quality auteur movies with commercial potential and worldwide relevance. Their productions include “MARIA (AND EVERYBODY ELSE)” (2016) by Nely Reguera, which premiered at the San Sebastian Film Festival; NOAH’S ARK (2014) directed by Adán Aliaga and David Valero; THE INCREDIBLES (2012) by David Valero, which also premiered at the San Sebastian Film Festival; and THE ETHERNAUT’S WIFE (2012) directed by Adán Aliaga. Upcoming projects include the Spanish-Lithuanian coproduction “TROT”, the first feature film by Xacio Baño, currently in post-production; “THREE” by Oscar-nominated director Juanjo Giménez; and “AFTER”, directed by the Cannes Critics’ Week award winner Oliver Laxe. The Fundación Averhó is a non profit organization that has as main purpose the highly specialized training of people with disabilities in various audiovisual techniques for finding work in the field of Information and Communications Technology. At La Panificadora Estudios we work on all the sound processes involved in film and TV, from field recording to post-production, using our experience and creativity as the cornerstones of storytelling. - Sound design & editing. Gaitafilmes is a young film production company with an openly international vocation geared towards co-production. Our first film, the thriller DHOGS, was released in 2017. Matriuska focuses on film production, fiction content for television and cultural and audiovisual design and programming. Melgo Cinema is a social cinema production company created in 2018, based in A Coruña. Its founders, Roberto Alvite and Javier Gálego, draw on their previous experience in the social, business, and even acting sectors, to respond to demands of the present by developing their own projects. Both believe in the potential of the audiovisual to integrate multiple disciplines in favor of visualizing everyday realities and inviting reflection and action. The respect of the bases of a production, of the script and of the team of work, are pillars of the values of the company, which unites the creativity with the commerciality, the past with the future; In short, production with the public. MILANA BONITA is a young Galician producer, founded in 2018, but with 16 years of experience in the audiovisual sector. His areas of work are the production of fiction in all its aspects and the specialization in cutting-edge trends in the entertainment business. Content for brands, digital communication and products for streaming platforms are the main types of their productions. The central approach of the company is to combine the latest trends in terms of consumption modes, financing methodologies and dissemination of projects and the most modern technological developments with tradition and passion for the profession of storytelling. Mondotropo is an audiovisual producer dedicated principally to the advertising. At present we are developing other lines of market based on projects with a clear own personality, independently of the kind or of the way. Organization of cultural, educational and educational events, of learning, fairs and conventions, as well as projects related to them. Pequerrecho Subtitulación is a linguistic services provider for all types of audiovisual products. It specializes in interlanguage subtitling, electronic subtitling, subtitling for the hearing-impaired, audiodescription scripts for voiceovers and the translation of all kinds of documents. The company offers language-related services for all type of audiovisual production, specialising in multilanguage sutbtitling, subtitling adapted to the hearing-impaired and translation. We work with translator-subtitlers, linguistic supervisors and professional revising technicians. We provide them with additional training to ensure a product of the highest quality. We also develop workshops and studies in collaboration with associations of the hearing-impaired to better the understanding and enjoyment of subtitled works. Our objective is that audiovisual works may be enjoyed whilt respecting its original nuances. A proof of the quality of our work are the success and recognition gained by our clients in several international festivals. Portocabo is an independent company specialized in producing fiction for television. It was born in 2010 with the aim of being a content generating company with the vocation of competing in international markets. A boutique specialized in creating and designing customized television content. The philosophy is the "tailor made"; generate high quality projects by making the most of the available budget. It is distinguished by its adaptability, being a producer with capacity to work in different territorial areas. It is positioned in the market as a producer with great experience in fiction production. The police thriller, comedy and historical drama are favorite genres of the company. In Portocabo, the talent of the new creators and professionals that emerged in Galicia in recent years converge, an excellent human capital, with many years of experience, and with the ability to successfully face the most ambitious projects. The talent of this human capital is what has given strength to the company in the first years of activity and will be what positions it as a reference producer in the future. Throughout his career he has been characterized by opening up to different markets. Producing at regional level for Galicia, Canary Islands and Catalonia. At the national level, developing projects for Movistar +, Telecinco, Antena 3 and Televisión Española. And in the international arena co-producing with Italy, The Avatars (Disney and RAI), with Portugal, Vidago Palace (RTP and TVG) and with France, Hierro (Movistar + and Art). More than 20 years of experience in the audiovisual sector are our greatest guarantee. Producciones Audiovisuales Setemedia offers a complete and professional production, providing all the technical and human resources necessary for the success of the service and customer satisfaction. Setemedia produces very recognizable programmes for the public, such as Vaia Troula or the weekly programme Aquí Galicia. In addition, it became the Galician company leader in news coverage in Galicia, with its range of DSNG’s HD and ENG’s in various formats. We offer the best guarantees in the production and realization of sport and cultural events with our Camera Control Units in SD and HD, completing the service with our Crane shot and Steadicam, which are models in the Galician audiovisual landscape. R provides linear and on-demand television services to private and corporate customers and is the pay-TV market leader in Galicia (our parent company, Euskaltel, is also the pay-TV market leader in the Basque Country). We are interested in producing/co-producing and/or broadcasting audiovisual content of principally local nature that will be of interest to our customers, either in the form of a linear channel or as on-demand video content. To this end we operate a high capacity TV platform with a 4K android TV box to meet customer demand. We also offer communications, hosting, cloud and other advanced services for companies working in the Galician audiovisual sector. Television: We have more than 20 years experience producing all types of televisión formats: documentaries, magazines, TV series, game shows, cultural programs, etc. Media Production: We provide coverage for news, sports and social events for several national and regional channels: Canal +, Tele 5, Antena 3, Televisión Española... We also provide this service to international channels. Video-based corporate communications: We shoot spots and all sorts of videos –industrial, institutional, corporate and traning- that help companies and institutions broadcast their image and improve their communications. Major companies, the Xunta de Galicia, Town Councils, Provincial bodies, Foundations and other public institutions have trusted us in this field. Own projects In Productora Faro we are also interested in the creation and development of new formats for television. We are very proud of our efforts in this field, which are undertaken with a high level of motivation. Equipment: We have a full range of equipment and resources necessary to produce any type of project in our 600 set. Our facilities include, among others, 5 video and one audio postproduction rooms, a computer effects room, control room, production offices, dressing rooms, a makeup and hair styling room, cafeteria, dining room, etc. The Fundación para o Desenvolvemento das Tecnoloxías da Información e a Comunicación (TIC) is a non-profit institution created by the Lugo Provincial Council and it is classified as a charity-teaching body by an Act of 26 November 2003. It is supervised by the Regional Ministry for Culture, Education and Universities of the govenment of Galicia. The main objectives of the Fundación TIC are to promote and undertake activities that will drive education, research and development of ICT in the province of Lugo, thus contributing to the strengthening of the Knowledge Society or information Society in this territory. This objective motivated the creation of a private teaching center to deliver official qualifications in audiovisual, radio and stage production and direction. With official recognition by the Regional Ministry for Culture, Education and Universities, it started its activities in school year 2003/2004. The Fundación TIC has reached collaboration agreements with different audiovisual industry media, institutions, companies and bodies in order to promote and achieve its objectives. The Fundación also owns the necessary resources that will enable it to develop the objectives and strategies that will benefit from the synergies created by teaching, producing and promotion audiovisual content. School of Image and Sound (CPR TIC) Centre for specific professional training, authorised by the Regional Ministry for Culture, Education and Universities to deliver professional qualifications in the Media, Image and Sound areas. Centre for Programme Production (CPP) Thanks to a collaboration agreement with the Provincial Council of Lugo, the Fundación TIC has at its disposal professional facilities in which it delivers its training courses. It also uses these facilities to produce content for the televisions with which it has reached collaboration agreements. Lugo Film Commission (LFC) In cooperation with the Audiovisual Consortium of Galicia, the Fundación TIC manages and promotes the Lugo Film Commission, part of the Galicia Film Commission. Streaming Galicia offers live broadcasting of all kinds of events, including conventions and conferences, talks and public lectures, business meetings, seminars and sports events, among others. We combine the latest technologies with audiovisual communication to offer innovative online video services as well as live streaming broadcasts and audiovisuals in HD. Thanks to our experience and presence at a multitude of events we have built up a customer and collaborator portfolio that includes a large number of companies, official bodies and public and private institutions. Founded in 1988, Studio XXI is mainly dedicated to the dubbing of films and documentaries to the Castilian and Galician languages, both in lip sync and voice over mode. Approximately two thirds of his dubbing production is done in Spanish for fiction products, such as TV movies, fiction series, factual programs and documentaries. The rest, almost one third, is done in the Galician language. In recognition of their work, they have a prize awarded by the TAKE 2019 AWARDS for the "Best dubbing production in Docureality", in Spanish. Other types of programs such as spots and commercial spots, megaphones, learning, audio guides and commercial videos in different languages ​​also sound, for now in English, French, Italian, Portuguese, Neutral Spanish, Russian, German and even traditional Chinese. Recently they inaugurated new facilities in A Coruña, in the Polígono de Bergondo, where they have more than 500 square meters distributed in five accessible recording rooms, two mixing rooms, a video room and space for offices and waiting rooms, as well as Private parking. Tamboura, founded by siblings Gael and Lautaro Herrera, creates and produces educational and entertainment TV projects with a clear mission: to combine creativity and technical expertise in a constantly changing world in which these two elements already abound singly. Its flexible and proactive working methodology also enables the company to develop and manage a wide variety of media content, with a marked preference for social and environmental themes. Audiovisual producer with more than 30 years of history. We have the most successful television audience in Galicia, with series such as Mareas vivas, Padre Casares, Matalobos or Serramoura. We made the leap to national fiction at the end of the 90s with the juvenile series, Nada es para siempre (Antena 3). El final del Camino is our most recent production for Televisión Española. Creator of all types of formats for television and film, widely awarded in Galicia, Spain and internationally. Corporate videos, advertisements, recordings of relevant events, closed circuit television services, search of locations, audiovisual presentations for web, DVD collections, educational videos, production of live shows, rental of sets, and audiovisual material... We create, script, produce and co-produce for all audiences and tailored to each client, from Galicia to the rest of the world. Created in A Coruña in 1994, XAMALÚ FILMS is an independent production company that provides production and distribution support for the film projects of Xavier Bermudez and Manane Rodríguez. It can also support other projects, either in coproduction or by providing services such as script analysis, shoot management or video editing. XAMALÚ FILMES produces titles that respect popular intelligence and feelings, that provide a critical outlook on reality and that invites refletion and enjoyment without any esthetic or moral formulas or sterotypes. We aim to create films that can still be considered interseting and relevant after its first year of commercial life. ZENIT TELEVISIÓN S.A. is an audiovisual producer's long career, mainly dedicated to the creation, development and production of TV fiction. Today it continues to produce series and serial fiction in addition to feature films, documentaries and reality and entertainment programs.